Did you know that it’s possible to be allergic to fine jewelry? If your engagement ring or new necklace starts turning your skin green, it does not necessarily mean the metal quality is poor (though cheap costume jewelry may also turn your skin green for other reasons). Pure gold, though hypoallergenic, is too soft to be used in fine jewelry. Other metals such as copper and nickel are added to make it more durable. If you’re allergic to one of these metals, you could have a reaction to 14k or even 18k gold, too. What to do if your skin turns green? 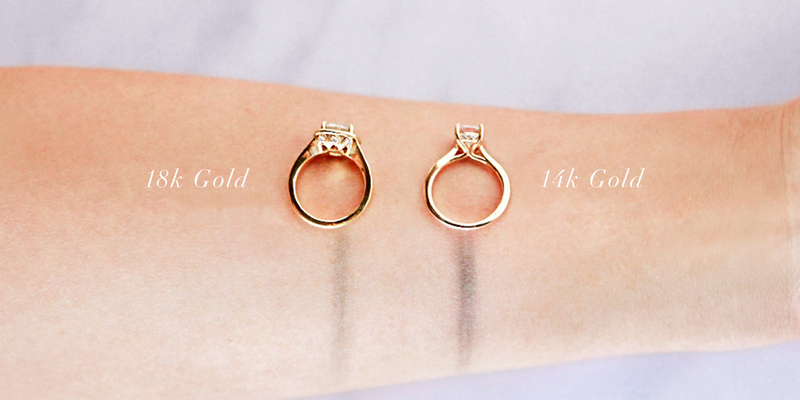 Our own CEO, Brittany Bozmoski, had to answer that question when her brand new custom engagement ring—made of 18k gold—turned her finger dark green. The most straightforward way to solve the problem is to choose a different material. Platinum and palladium are both hypoallergenic. If you want your piece to be made of gold, choosing white gold is a great option because it is finished with rhodium (which gives it that trademark silvery shine). Brittany’s solution is a combination of those things. 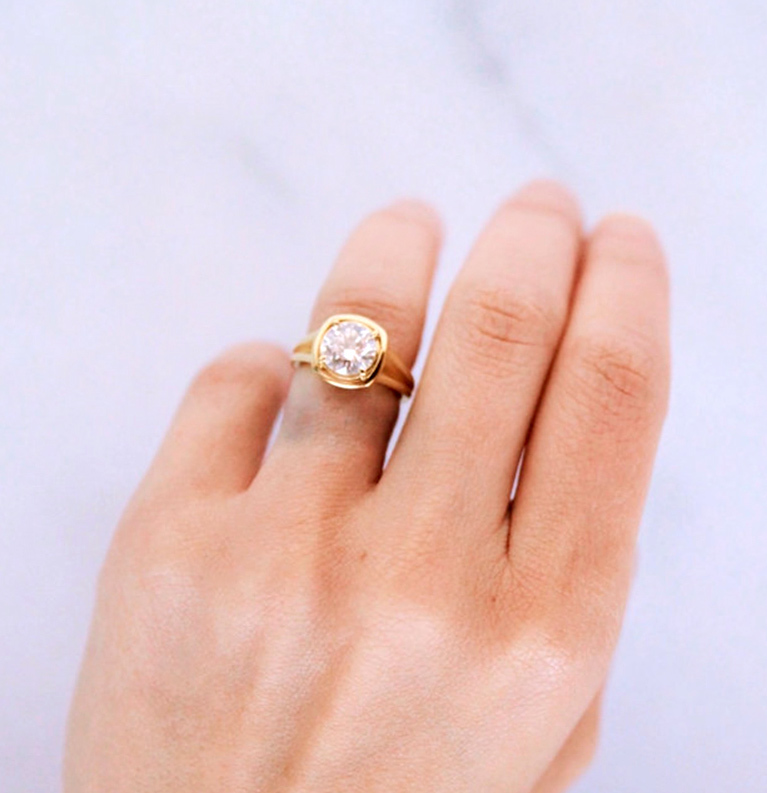 Her ring is now rhodium coated on the inside, so her ring finger stays its normal color; however, her middle and pinky fingers still turn a bit green from touching the yellow gold. It’s not as noticeable and wipes away easily. For the long term, she will have the internal rope design cast in platinum, while the rest of the ring will stay yellow gold. This keeps the design integrity of her ring intact and addresses her allergy. Great solution. Right now I am on a palladium kick. Nope. Thanks to the splendid education so aptly provided by Diamond Nexus, I am in the know.